It could not be a perfect timing for the 7th Greek Investment Forum, “Greece: Back on the Path to Growth,” that was held in New York City, on June 19-20, just a couple of days prior to the Eurogroup agreement that signaled the completion of the Greek program. In addition to the general positive mood, one extra positive factor was the full support of the Trump administration, expressed by U.S. 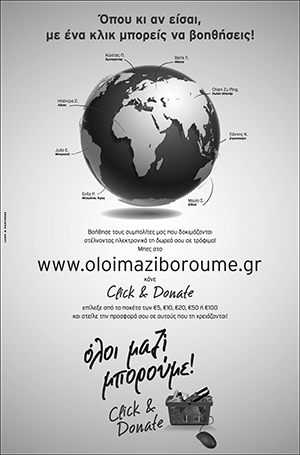 Ambassador to Greece Geoffrey Pyatt, who participated and spoke at the Roadshow. “My presence here is a reflection of the Trump Administration’s strong support for Greece’s full economic recovery, and our commitment to working as hard as we can to see that this is the year that Greece truly re-emerges as a normal Eurozone economy… And my mission here in New York this week is to make sure that the business and trade relationship, and the investment relationship, keeps pace with what we’re trying to do on the political side,” Ambassador Pyatt told the audience at a dinner on Monday, June 18, in New York City. Pyatt reiterated that the “US see Greece as a pillar of stability in the wider region.” He also referred to the Thessaloniki International Fair (TIF) where the US will be the honored country. 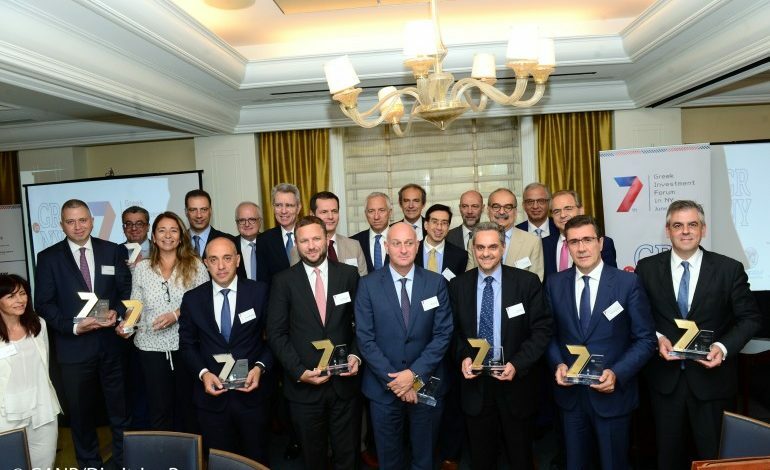 The 7th Greek Investment Forum was organized by the Athens Exchange and the American-Hellenic Chamber of Commerce (AMCHAM), in cooperation with Enterprise Greece. 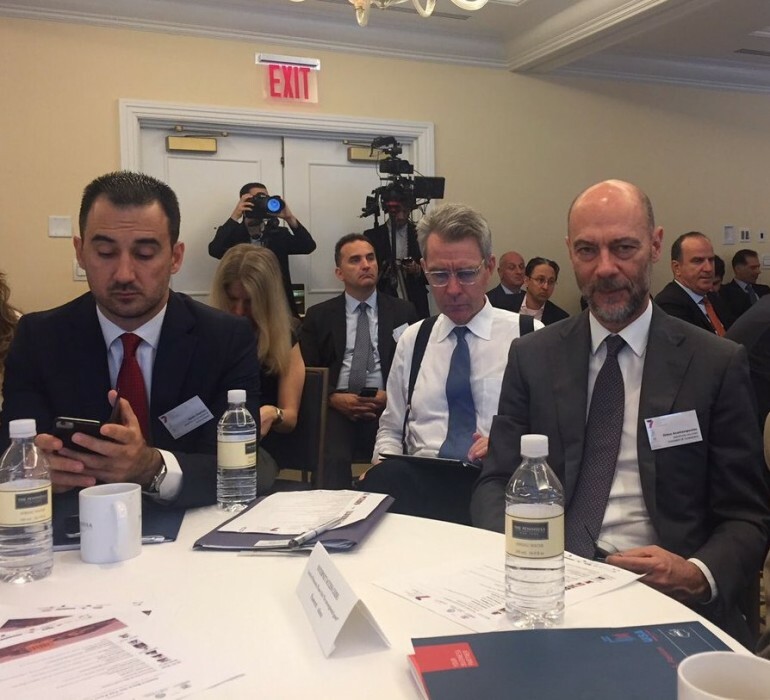 Greece’s Alternate Minister of Economy & Development, Alexis Charitsis also took part at the forum. Charitsis stressed that after eight years of crisis Greece is exiting the memorandums in August, so the debate that is taking place today on the framework of cooperation with the institutions for the day after is very important. 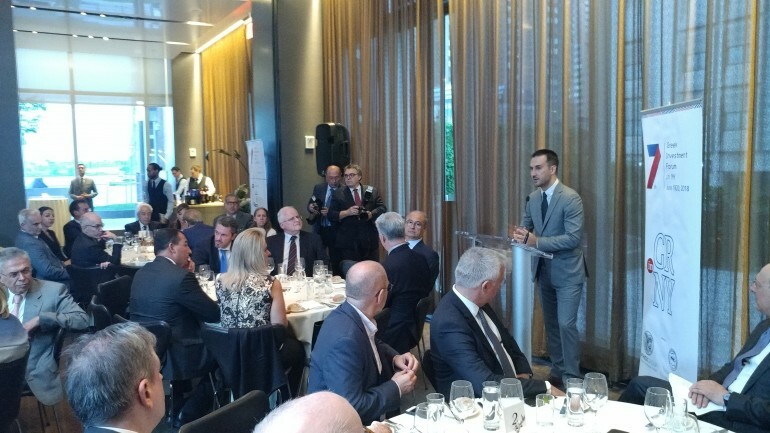 “Taking these into account,” he added, “this is the best time to talk in New York with investors and people interested in Greece who realize that our country is now becoming a popular investment destination,” he underlined. On Thursday, Minister Charitsis discussed with US Secretary of Commerce Wilbur Ross details of the Thessaloniki Trade Fair. Secretary Ross will lead the U.S. Delegation. The aim of the Forum is to inform the U.S. business community about the significant new investment opportunities that have emerged in Greece and the types of enacted legislative, economic and structural reforms employed to foster growth and create a positive investment climate. The Greek Delegation was led by the Athens Exchange Group’s Chairman George Handjinicolaou and CEO Socrates Lazaridis and the President of the American-Hellenic Chamber of Commerce, Simos Anastasopoulos. Additional participants include: Lois Lambrianidis, Secretary General for Strategic and Private Investments, Ministry of Economy and Development; Ioannis Brachos, Secretary General for Economic Relations, Ministry of Foreign Affairs; Charalampos Gotsis, Chairman, Hellenic Capital Market Commission; Elias Athanasiou, Chief Executive Officer, Enterprise Greece; and Aris Xenofos, Chairman, and Riccardo Lambiris, CEO, of the Hellenic Republic Asset Development Fund. As part of the initiative, select participants took part in meeting with U.S. business leaders and investors in Washington (June 20-21) and Chicago (June 21-22). The organizers said they expected over 100 fund managers to participate in the two-day event, adding that over 450 one-on-one meetings have been arranged between participants, twenty-three of Greece’s largest listed companies, and U.S. institutional investors. 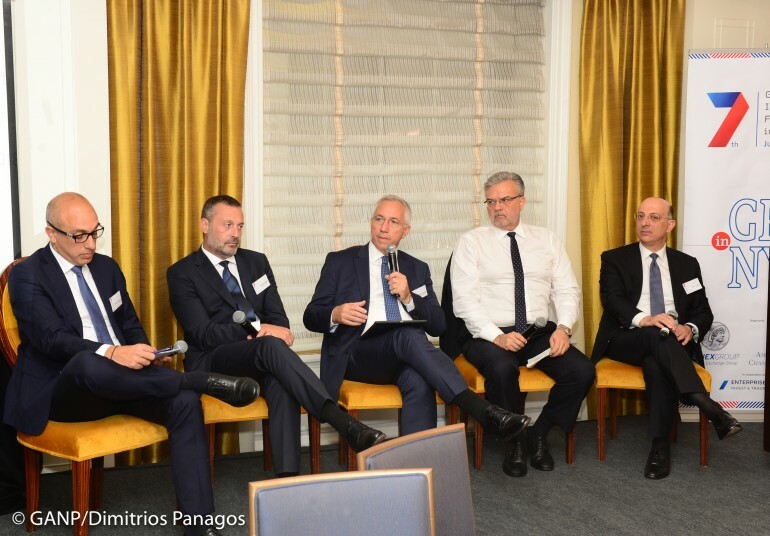 The event started with greeting by Socrates Lazaridis CEO, ATHEX Group, Simos Anastasopoulos President, American-Hellenic Chamber of Commerce and Charalampos Gotsis Chairman, Hellenic Capital Market Commission. In a market in which 65% belongs to foreign investors, Greece can attract more investments to help its economy develop faster, Athens Exchange Group CEO Socrates Lazaridis said in interviews in New York. Lazaridis told TheStreet.com that clarity in terms of Greece’s debt relief will improve the confidence of investors already in Greece and will attract further investments. In comments to Fox Business, he noted a strong interest about investment opportunities in Greece and said that the Greek economy relied more on tourism, especially in real estate, but that interest was also generated in the pharmaceuticals sector. In terms of the US tariffs for European products, he said a small number of companies would be affected. He said it would be interesting to see whether greater competition would lead to lowering of prices in smaller markets, and how much pressure it would create in the valuation of involved companies. Alternate Minister Alexis Charitsis and Ambassador Geoffrey R. Pyatt delivered speeches, followed by a discussion moderated by Penny Manis, Senior Director of Business Programming, CNN International. Citigroup ‘s economics expert Ebrahim Rahbari spoke on investment outlook and prospects for Greece and Europe, followed by a panel discussion on the investment opportunities on Greece, Emilios Kyriakou, Managing Director of Citigroup Greece and Cyprus, Chris Megalou, CEO of Piraeus Bank, Michael Tsamaz, CEO of OTE and George Chryssikos, CEO of Grivalia Properties REIC, moderated by Mr Dimitris Koutsopoulos of Deloitte Greece. I’m very pleased to be here with Minister Charitsis. But also if I had to sum up my presentation this morning, it would be “what a difference a year makes.” We were up here twelve months ago, and if you look at what’s happened in the past year, it’s really been a landmark year for U.S.-Greece relations. Most importantly we had Prime Minister Tsipras in the Oval Office last October, he heard from President Trump, Secretary Mnuchin and the rest of the cabinet a very strong, American commitment to support Greece in its process in emerging from an eight year economic crisis, a very strong message from Prime Minister Tsipras in his support for U.S.-Greece alliance, in particular our important defense, security counter-terrorism relationship, a very strong message from Prime Minister Tsipras when he was in Chicago on the same trip, and later on in Washington, in terms of welcoming American direct investment with a particular focus on the high level of comfort that the Greek government feels for American investors because of what our companies bring in terms of transparency and regulatory oversight. Also a very strong message from President Trump on the importance we place on Greece’s emerging role as a European energy hub. A Greek commitment to become an importer of U.S. LNG, a strong US government support for Greece’s regional energy infrastructure projects, including a re-gasification plant in Alexandroupoli, in Northeastern Greece, which we hope will include U.S. equity, and which will play an important role along with the Bulgaria Pipeline and the TAPI pipeline in helping to build energy diversification across Europe and to reinforce Greece’s role as a European energy hub. I would emphasize also, and the Minister gave you a lot of the statistics, but the one statistic that gets a lot of attention these days in Washington is trade balance, and trade policies, and importantly the US-Greece trade relationship is a balanced one. And the numbers reflect the recovery that the Minister talked about. U.S. exports to Greece were up 29% last year, and US imports from Greece were up 22%. So you can see that our trade relations are reflecting the favorable overall trends. Obviously the number one question for you as investors and indeed in terms of the US government interest in Greece- economic recovery- the number one question for 2018 will be how will the government perform in terms of sustaining economic reform after August when it no longer faces the oversight and scrutiny of the Troika. That’s obviously something the Minister and the Greek government will have to answer, but I will say I have been encouraged by the messages that I have heard from Prime Minsiter Tsipras, from Deputy Prime Minister Dragasakis, Minister Tsakalotos, Minister Kotzias and the rest of the team. I think there’s a clear understanding that Greece will have to perform, and there is an important opportunity. I would note on the investment side we have some real success stories that have not gotten a lot of attention in terms of U.S.-Greece investment. An 80 million dollar investment by Avis, to grow their operations in Greece, and that’s a reflection of an overall trend of great buoyancy in the tourism sector. We’re seeing American brands growing steadily- Hyatt, Marriott, Wyndham, all expanding their platforms in Greece. The energy sector has great potential, I already alluded to Alexandroupoli and what we’re interested in there, you also have big US majors looking at off-shore exploration opportunities in Greece. We’re very satisfied with the progress that was achieved, and we have ONEX here today and Panos, but congratulations on the progress that was made with Syros shipyard, which is an example of how American capital and know-how can help to provide some of the Greek industrial base. Lastly, on the geo-politics. We have an American policy, which is investing in our relationship with Greece, as part of the larger strategy to reinforce our relationship with Europe. We view Greece as a critical pillar of stability, an ally and a partner, that shares our interest across the broader region, including the Eastern Mediterranean, the Balkans and the Black Sea, and in that regard, we have committed to elevate our dialogue, we did that in a meeting a few weeks ago between Secretary of State Pompeo and Foreign Minister Kotzias. The Minister alluded to the recent agreement on Macedonia, which I think for outside observers is important to acknowledge for two reasons: One, it demonstrates the government’s capacity to take important and politically non-trivial decisions, but it also unlocks the historic relationship that Greece has enjoyed economically with the countries of the western Balkans, and complements an American strategy which is focused on Northern Greece as a key area of economic interest but also a place to reestablish the historic role that Greece has enjoyed with countries of the Western Balkans and to advance our shared U.S. and Greek interest in seeing all these countries continue to move towards European-style reforms and Euro-Atlantic institutions. It’s a very optimistic time in U.S.-Greece relationship, we are thinking expansively about where we want to take this relationship, and we also believe the sector you all represent, the trade and investment sector is a critically important piece to get to where we want to go with our larger strategic alliance.